The Pilates Circle is a stability ring designed for people who want to train against a resistance when doing Pilates or yoga. The Pilates Circle Premium is a stability ring designed for people who want to train against a resistance when doing Pilates or yoga. 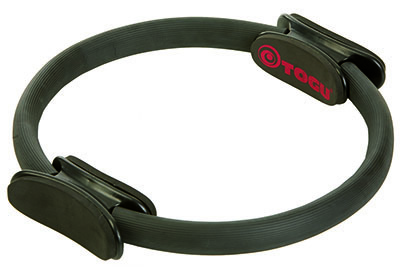 This fiberglass ring features soft handles that can be squeezed to train different muscle groups. Exercises with the Pilates Circle Premium can be done sitting, standing or lying down. Train individually or in groups. Comes black in color and measures 13 inches in diameter. Dimensions: 13.7" x 13.7" x 13.7"